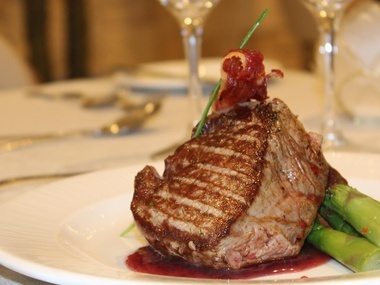 Discover the best quality all-inclusive resort offer, and enjoy our unbeatable cuisine. Start the day with the varied and ample breakfast buffet at the Gaudí Restaurant, with live show cooking. 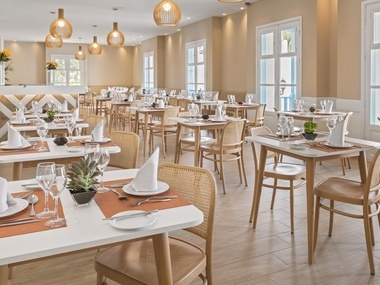 In the evening, you can also sample the national and international cuisine at the Gaudí Restaurant, or you can choose to visit one of our two themed restaurants: the Spanish “Atrium” or the “Rambutan: Asian & Veggie”. 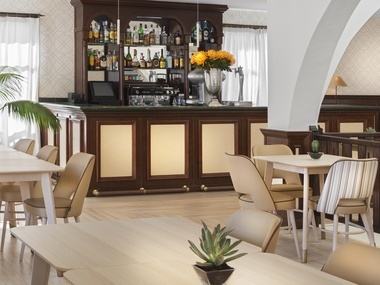 The Lobby Bar and Pool bar offer a diverse variety of snacks and drinks during the day. If you prefer a more conventional lunch, you can choose from a variety of different dishes at the buffet. 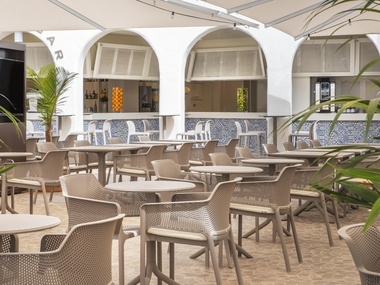 Enjoy our All Inclusive service that is available throughout the day or in the evenings, with a selection of national and international alcoholic and non-alcoholic drinks in our bars and restaurants, as well as a carefully selected choice of cocktails. Restaurant exclusive for “Adults Only Premium Club” guests. For dinner buffet and "à la carte” menu. Breakfast, lunch and dinner buffet service. 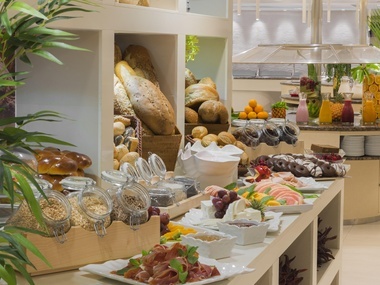 Start the day with energy at this varied and extensive breakfast buffet, which also offers a healthy dietary wholefoods corner. Buffet and à la carte dinner service. A restaurant that offers the traditional flavours of Spanish cuisine. Asian and vegetarian fusion cuisine. Situated in the liveliest daytime spot, offering a variety of snacks and drinks Hotel animation, music and fun. In the afternoon, there’s freshly baked “tea time” cakes, tea and coffee. The heart and soul of the hotel’s nightlife, and therefore the perfect place to savour a drink and enjoy the evening. The Plaza offers a fun atmosphere, where all the family members are welcome. 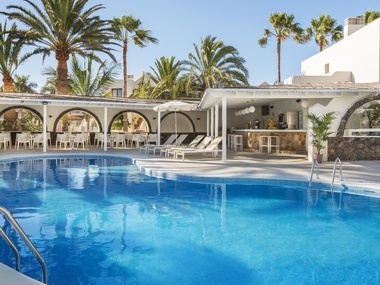 The ideal place to savour a refreshing drink and surrounded by tropical gardens and a pool. 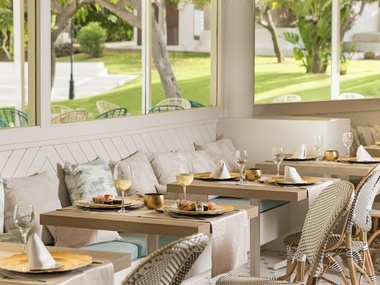 Exclusive afternoon ambience; ideal for an aperitif before dinner or a cocktail afterwards. 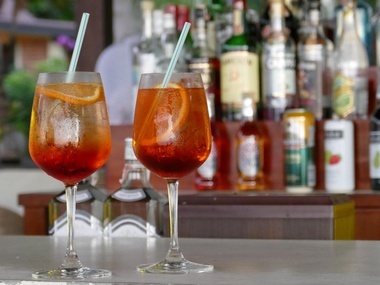 Selection of cocktails and refreshing drinks accompanied with good music, offering also daily newspapers and table games. 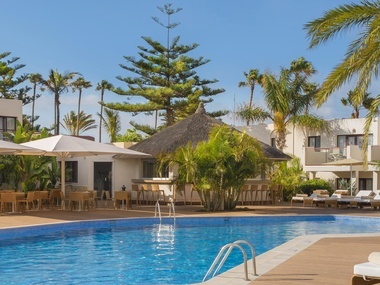 Next to the reception, where guests can choose a gourmet coffee or their favourite cocktail to be sipped indoors or on the outdoor terrace whilst enjoying the views of the wonderful gardens that are meticulously cared for and filled with tropical Canarian plants.